This is a small part of the promenade above Larvotto beach. Avenue Princesse Grace is above - that's where we were yesterday. 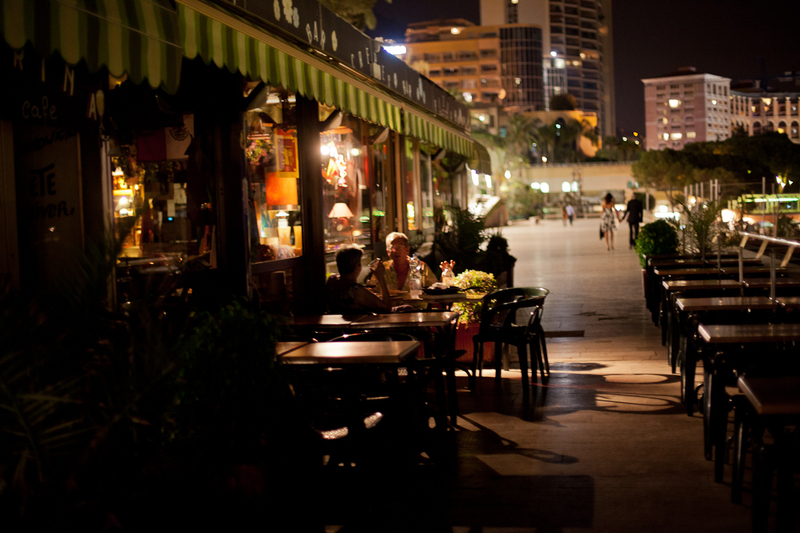 And if you walk to the lowest level, then you are on the beach with even more restaurants. Beautiful light coming out of the restaurant window - nice exposure!